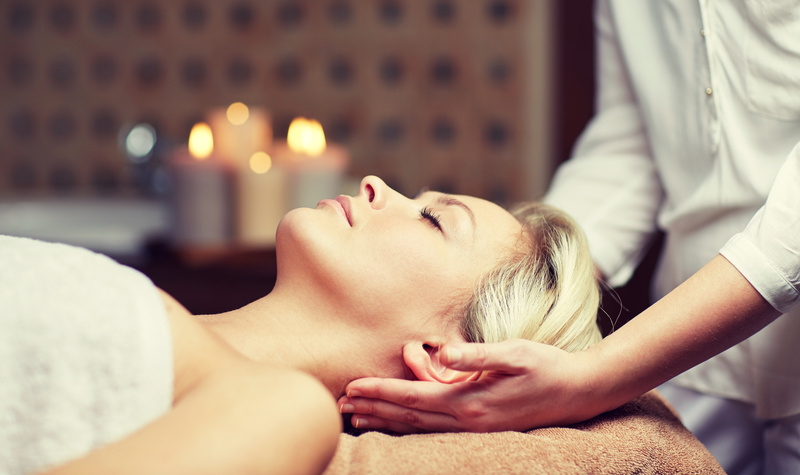 For most individuals, massages are a pampering treat they only indulge in every once in a while. They may even make an entire day of it–disconnecting from the noisy, busy world they live in and surrendering to the calming atmosphere of the spa. When they leave they feel relaxed and refreshed and may attribute this to the fact that they just took some time for themselves. It may be true that many people look to massage therapy as a wonderful way to pamper themselves every once in a while, but the fact is that massages provide so many fantastic benefits that one would be prudent to schedule them on a regular basis! Not only can massages work to relax the body and mind, they can help to reduce stress, improve circulation and even provide some amazing anti-aging benefits (um, yes please!). Improve circulation, which in turn fights cellulite and the swelling of veins. Good circulation is vital to healthy cells, but as we age our cardiovascular system function tends to slow. This can lead to the signs of aging we all dread, such as swollen veins, cellulite, and dull skin. Massage therapy improves the circulation of the lymphatic system, which helps eliminate toxins from the body. It also reduces the metabolic waste that accumulates to cause leg vein swelling and it increases sebum production, which helps protect, cool, calm and maintain the skin’s youthfulness. Finally, it helps to strengthen connective tissue, which can work together with a good diet and exercise regimen to help fight against cellulite. Reduce stress so the body is better able to rest and repair skin from wrinkles, pigmentation, scarring, etc. When an individual is stressed their body tends to focus its time and energy fighting this, rather than resting and repairing itself. This can cause the individual’s appearance to change, causing them to look advanced in age. Massage therapy helps reduce stress by reducing production of cortisol and insulin while also increasing production of serotonin and dopamine. It also increases the release of oxytocin and endorphins, which help reduce stress, slow breathing, and heart rate, relax the muscles, improve digestion and reduce pain signals. The stimulation of delta brainwave activity during massage therapy also leads to deep sleep induction. Improve posture that will help you later in life. Poor posture not only reduces your height and makes your body look worn and tired, but it can also adversely affect your circulatory, digestive and nervous system function. Needless to say, poor circulation, digestion and nervous system function can deprive the body of those things it needs to run well. Massage therapy works to relax the muscles and joints of the body, which in turn allows for natural, good posture, and movement. This helps to improve one’s height and appearance, and it also protects the optimal function of the circulatory, digestive, and nervous systems. These specific points help to drive home the fact that massage therapy is highly beneficial to an individual’s health and appearance! In short, massage therapy is far more than simply a pampering treatment that feels nice to receive every now and again–it is actually directed at helping the various systems of the body to function properly and well. In doing this, massage therapy allows the body to perform both its resting and repair functions well so that the individual benefits in ways that can not only improve comfort but also help to prevent or reverse some of the more common signs of aging. Now, who wouldn’t love that? Contact Botanica Day Spa today to book your massage and start on those excellent anti-aging benefits now!